In Canada and some European nations, Christian clergy have been prosecuted for preaching Biblical norms against the practice of homosexuality. New hate­ crime laws in America raise the specter of the same practice here. Hate speech laws have unintended consequences, and should be avoided. An interdisciplinary curriculum sparked by conversations at Gonzaga University. That much-promoted hate crime ralley in front of the U.S. Department of Justice was a bust, but not busted as organizers seemed to hope they would be. ACORN support and its end was the topic of a US Conference of Catholic Bishops report. Their Campaign for Human Development is under right-wing fire again this year. Rifqa Bary’s Christian activist supporters rallied in front of the Columbus, Ohio, courthouse. She is in foster care in Ohio now and restricted so that she can no long hold cellphone prayer meetings or exchange email with supporters. Public schools can still censor valedictory speeches, it seems, and the failed Brittany McComb attempt to detail her faith by departing from the approved valedictory text was denied U.S. Supreme Court review. Students and their families are suing a Tennessee school for promoting the religion preferred by school officials. Of course most news reports subly nurture the ACLU-plot meme. BBC said “no” to including non-religious speakers on a “Thought for the Day” radio show. It seems that “religious output and that it is a matter of editorial discretion for the BBC executive and its director general as editor-in-chief as to whether the BBC broadcasts a slot commenting on an issue of the day from a faith perspective.” Take that atheists, et al? Will U.S. Attorney General Arrest Pastors for Violation of the Hate Crimes Law? Er, did anyone actually believed he might? Is Land set to re-preach fear of hate-crimes law? Southern Baptist Convention ERLC chief Richard Land may preach his counterfactual hate-crime fear tomorrow to the Florida Baptist Pastors Conference. Land’s session tomorrow is entitled “Persecution of the American Church: Welcome to pastoring in a persecuted environment” and he has consistently argued that enactment of the hate-crime legislation would lead to religious persecution. Advocates of freedom of religion and of speech, as well as of the biblical view of sexuality, expressed dismay at the development, even though they oppose violence against homosexuals. They fear the measure, combined with existing law, could expose to prosecution Christians and others who proclaim the Bible’s teaching that homosexual behavior is sinful. For example, if a person commits a violent act based on a victim’s “sexual orientation” after hearing biblical teaching on the sinfulness of homosexual behavior, the preacher or teacher could be open to a charge of inducing the person to commit the crime, some foes say. In fact the First Amendment is still in full force. We do not have “hate speech” laws in this country and attempts to impose their limited-purpose analogs have been judicially demolished. The best knownof Westgarrd’s cartoons. Two men from Chicago have been charged with plotting overseas attacks, including on the Danish newspaper which published cartoons about Islam. David Coleman Headley, 49, and Tahawwur Hussain Rana, 48, were arrested earlier this month. US prosecutors say Mr Headley travelled to Denmark twice to plan an attack on the Jyllands-Posten newspaper offices. Both were arrested earlier this month. 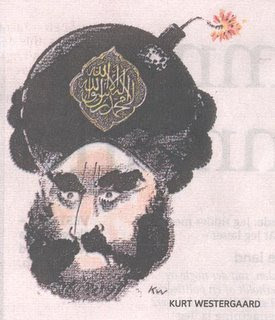 They are accused of targeting for assassination Danish newspaper cartoonist Kurt Westergaard, who drew cartoons of the prophet Mohammed in 2005 that sparked violent riots around the Muslim world. Authorities raided a home and several businesses as part of the investigation. The twelve most controversial cartoons provoking the 2005 riots are here. An interactive, online hate-crime map was created by National Public Radio. Very nice, and Dan at Bold Faith Type wants a list of prosecutions of clergy “for their speech in the pulpit” in those areas. Perhaps in an interactive map, please? President Obama killed some costly defense projects and took the landmark civil rights step of extending federal hate crimes coverage to homosexuals when he signed the defense bill passed last week. What must I do to be prosecuted under the hate crime law after Obama signs the recently passed legislation? Could a pastor be prosecuted for preaching that homosexuality is an abomination, or saying that gay people will go to hell? No. Unless a person actually causes ‘bodily injury,’ or attempts to cause bodily injury by using a gun, bomb or dangerous weapons, they cannot be prosecuted under the proposed hate crimes bill. This bill is not about thinking or believing, but doing and harming. In fact, sine 1968 when a parallel federal hate crimes bill was passed, there has not been a single successful prosecution based on speech. There have also been none in the 45 states that have hate crimes laws. The entire .pdf is worth downloading and reading. Just for the sake of clarity. Are we unconscious fellow travelers in the civility conspiracy? After all, we did write about the Interfaith Alliance civility letter, although it hit the political right and the political left alike. The Interfaith Alliance is about religion, and former Reagan White House political director Jeffrey Lord argues at The American Spectator that there’s a conspiracy of religious institutions and the FCC aimed at silencing talk radio and Fox. Which is apparently not a concern for talk radio stars like Rush Lumbaugh, who has accumulated his own PolitiFact.com page. Not for Fox. Nor for the Southern Baptist Convention’s Richard Land, who is preoccupied with finding and raising the alarum about echoes of Nazi philosophy he may contrive to find in Democratic discussion of health care reform. Nor is factual accuracy a concern for them or for Fact Free Land. As a participant, you will be asked to sign a petition to the Federal Communications Commission asking that it open a notice of inquiry into hate speech in the media. We will also urge the National Telecommunications and Information Agency to update its 1993 report, The Role of Telecommunications in Hate Crimes. They’re not calling for censorship. They want to know whether hate speech over the public airwaves is in fact giving rise to violence. The possible correlation between hate speech and violent crime gives us great pause. Immigrant, minority, and religious populations are often targets of hate speech before they are subsequently the target of physical hate crimes. For example, in June 2006 four teenagers posed as federal agents and asked two Mexican men [on a jetty in Rocky Point, N.Y.] for their green cards. The teenagers then beat and robbed the two men, while accusing them of stealing jobs from U.S. citizens. This incident occurred after radio talk show host Rush Limbaugh called Mexican immigrants [on March 27, 2006], regardless of legal status, “a renegade, potential crime element that is unwilling to work.” According to the most recent FBI hate crimes statistics, while hate crimes against all other groups have been holding steady or attenuating, hate crimes against Hispanics have been increasing over the last four years. Moreover, electronic media have a strong influence on children and teenagers since they are not yet fully developed cognitively. There is an organized campaign now afoot, a carefully planned, well-funded systematic assault on talk radio and Fox News that involves at least seven major liberal American religious denominations. All of whom are apparently planning to spread the gospel that talk radio and Fox News personalities are spreading hate speech. This message will be spread to their parishioners’ children, in adult education materials, in sermons and through lay leaders — people like me. That conspiracy is very much like Richard Land’s discovery of an attack on his First Amendment rights in objections to his use of Holocaust metaphors and allegations of budding Nazism to attack efforts to provide health insurance to people who need it. There was no such attack on Land’s rights in this nation where some 45,000 people die a year for lack of appropriate health insurance. Censorship isn’t afoot here. Allegations of censorship are being used as part of an effort to mask legitimate debate.